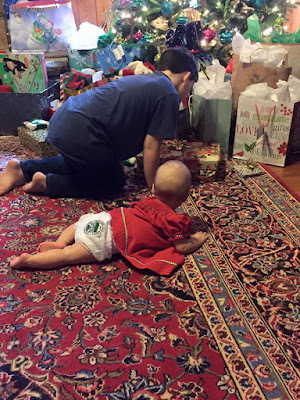 What a wonderful (fast) Christmas we had! Andi skipped both of her naps and still took the entire day, traveling and all, like a champ! Poor little thing has slept so much over the last couple days. 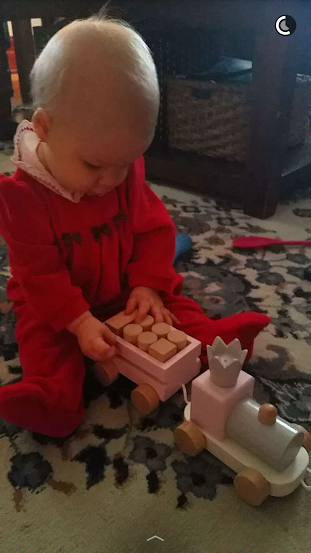 She was given the coolest, educational toys and we were happy that it wasn't completely overwhelming. (we didn't go out all 'Santa' wise just because she clearly wouldn't remember much) I seriously cannot wait to see the joy in our household as she gets older for each Christmas. We visit my side of the family as well as my husband's and finally get home around 9pm. Long day for sure but we wouldn't have it any other way! The weather, however, has not really made it feel like Christmas to me. It is still off and on rainy and 70 degrees out here in VA and to me that is insane! Not Christmas-like in the slightest. I've taken down all the décor already minus the three trees. They're next....when I get the next spurt of motivation. Hubs has been off the last few days and I'm SO praying it holds out until New Years. NYE is my absolute fav and of course last year I was pregnant and he was working. I would love to dress up and go somewhere this year! Anywhere! And speaking of a new year - anyone working on their resolutions? I usually don't do any but I'm thinking I may jump on that fitness bandwagon. I hear Jillian Michaels calling my name from our DVD storage drawer..... Jesssssssiiiiii (yikes!) Anyway, I hope each and every one of you had a wonderful and merry Christmas! 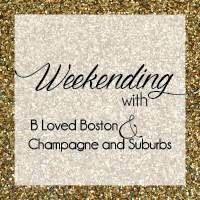 Linking up with B Loved Boston and Champagne & Suburbs for Weekending! 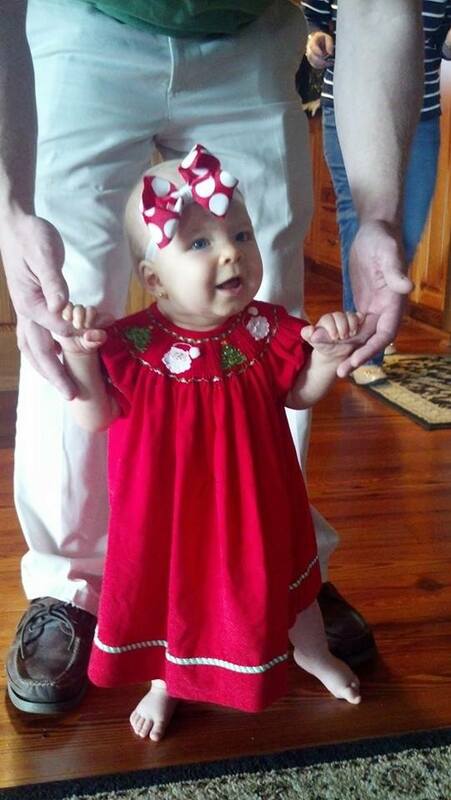 Love her Christmas dress! So precious! I'm glad that you and your little babe had a great Christmas! Such a cute Christmas dress! Looks like you had a great one! Such sweet pictures. Looks like a wonderful Christmas! Her little bloomers!!! Love! So sweet! What a fun Christmas! Have a wonderful week! jillian michaels... ugh. she's calling my name too. hope you get to go out for NYE! 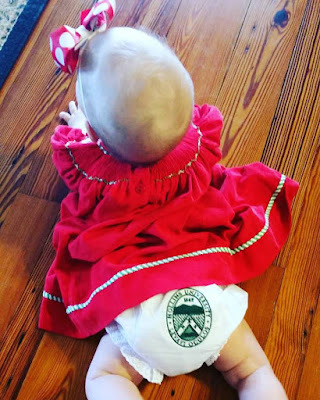 you killed it on the Christmas dress front! all so cute! 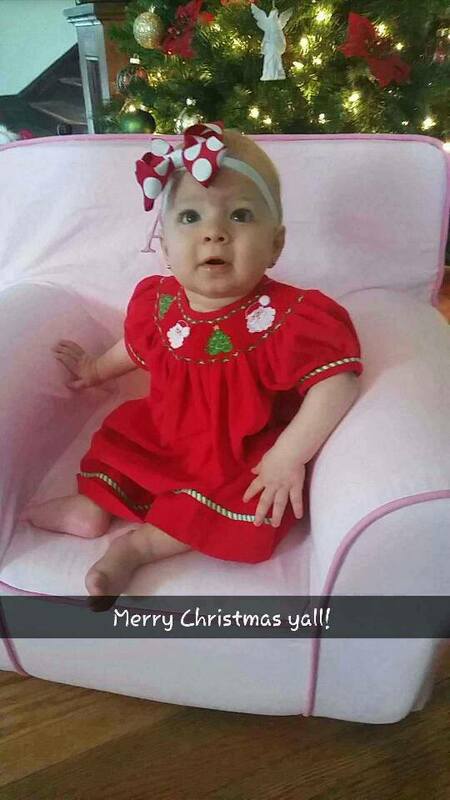 so glad y'all had such a wonderful first Christmas with Miss Andi! Your little one is always such a doll! 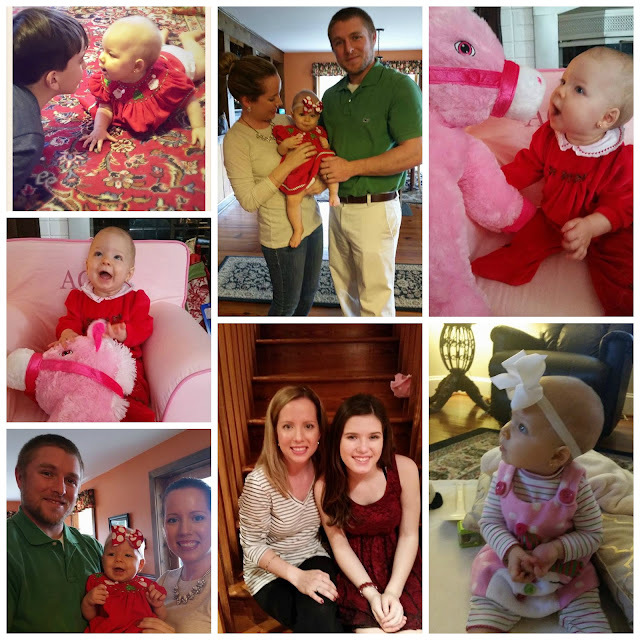 So fun to experience her first Christmas! I definitely need to jump on the fitness bandwagon, too! The new year is always a nice motivator!